Every one has their own choice(/mind-set/opinion/thought process). “Times New Roman” is the default font in Microsoft word. everyone may not like that font and they want to use another font each time they open msword for creating a new document. Being a Gujarati, and habituated typing in Gujarati using Vijaya-Kalapi-Gurjari font on a PC; I would like to set “Vijaya” Font in MS Word. save that document and close ms word. 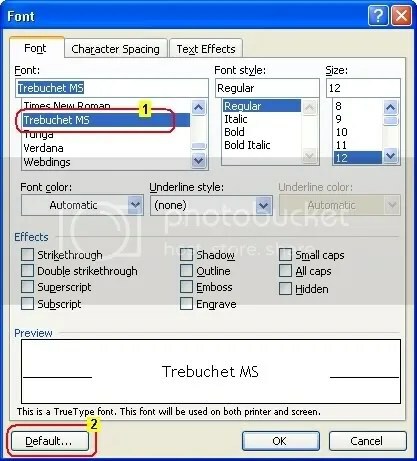 Now whenever you open ms word; your favourite font will be set for typing. If you type documents in Multiple languages in Unicode encoding then You might want to set “Arial Unicode MS” font as default.. it supports almost all languages of the world. at the same time your system becomes slow as the Arial Unicode font is around 21MB in size.